Arrivel at Bangkok. Proceed to Pattaya by coach. 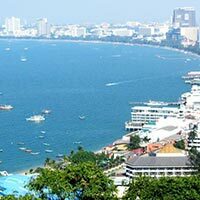 Enjoy Spectacular Alcazar show in the evening Over Night Pattaya. 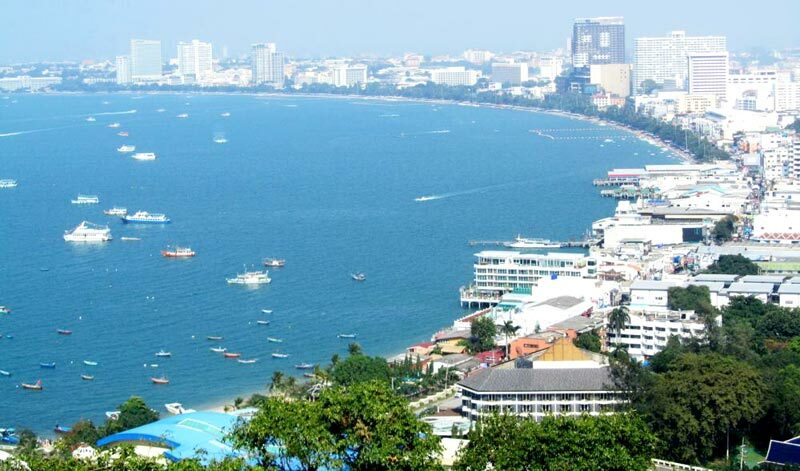 Enjoy Speed Boat Ride, Parasailing, Coral formations by Glass Bottom Boat and Swimming in the crystal clear blue waters of Pattaya at Coral Island. Visit Mini Siam and marvel at the Miniatures of the Temple of the Emerald Buddha, Bridge on the River Kwai, Golden Stupa, Pimai Khmer Sanctuary, Eiffel Tower, Statue of Liberty, Mount Rushmore, London's Tower Bridge, Trevi Fountain etc. Relax yourself with Scientific Thai Massage. Enjoy fun and excitement at Safari World, visit Marine Park. Enjoy Orang Utan Boxing show, Sea Lion show, Hollywood Cowboy Stunt show, Dolphin show and Spy War show. Explore wildlife like Giraffes, Zebras, Tigers, Lions and many more at Safari Park. Evening free for shopping at MBK - one of the famous shopping malls in Bangkok. Note: Show schedule at Safari World is subject to change without prior announcement Over Night Bangkok. City tour includes the Golden Buddha followed by Principle Buddha and Reclining Buddha. Visit Madame Tussad's Wax Muesum which displays waxworks of historical and royal figures, film stars, sports stars and infamous murderers. Visit an aquatic wonderland, Siam Ocean World which takes you through 7 different zones which are Weird and Wonderful, Deep Reef, Living Ocean, Rainforest, RockyShore, Open Ocean, and Sea Jellies. Experience the Sky Train ride. Free time for shopping at Indra Square.Over Night Bangkok. After Breakfast Departure To Bangkok Airport For Fly To Your Distination. Tour End.